A home as clever as its owner. 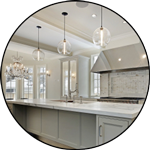 Providing homeowners with customizable home automation systems that exceed expectations, The Leon Group has been the premier home services provider for Bridgehampton since 1988. Never risk your health and safety by walking into a dark home again. Home automation by The Leon Group allows you to illuminate every corner of your home, both inside and out, at your command. 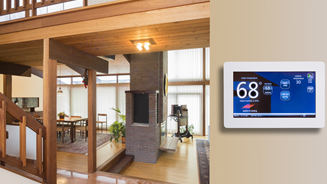 Truly putting the “control” in climate control, your home automation system keeps your home perfectly comfortable every day of the year, even from a distance. Adding instant ambience through your favorite music, and even alerting you to phone calls or texts, home automation innovations make life sound beautiful. 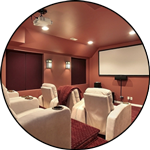 Make that home theater uniquely yours by timing and controlling all aspects of your home cinematic experience with ease with home automation systems by The Leon Group. Founded in 1988 by Juan Carlos De Leon, The Leon Group has been caring for and enhancing the functionality of Long Island’s homes with a variety of home services for almost three decades. Built on integrity and an unwavering commitment to exemplary service, our business’ primary focus has always been to build and enhance all of your home’s most functional features. 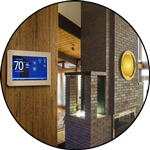 Now offering all-encompassing home automation design and installation, we pride ourselves on always delivering upon our long-held promise of unparalleled workmanship and service. 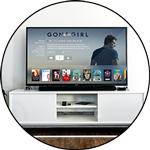 Find out more about all the amazing benefits that a well-designed home automation system can deliver by contacting The Leon Group today. We promise professionalism and care at the highest degree. 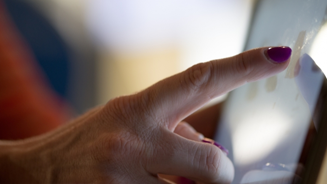 Have you ever wondered what living in a smart home would be like? Watch A Day in the Life of a Savant Home video for more information. The León Group provides a single, comprehensive estate management service, founded on a passion for landscaping, home care, and attention to detail. or simply ask us a question by filling out the form below. The Leon Group redefines high standards of work, responsiveness, and good character. © 2017 The León Group - All rights reserved.